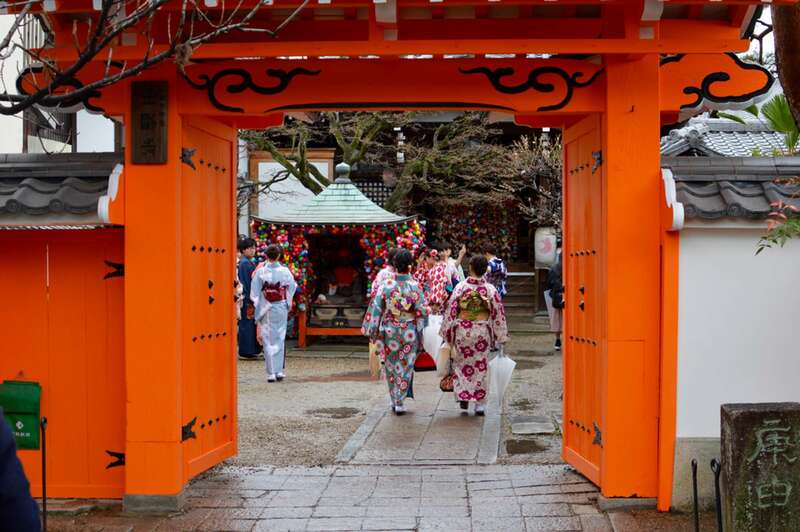 Get acquainted with Kyoto and its history. 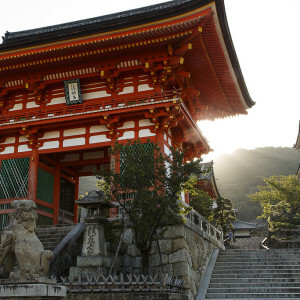 An old saying states that the Japanese are born Shinto, but die Buddhist. While not completely accurate, the phrase gives insight into the mingling and synchronicity of religions that permeate Japanese culture. 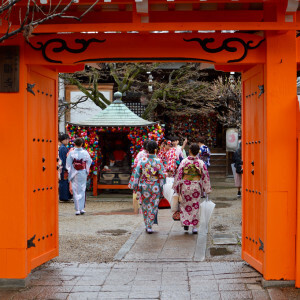 During this three-hour Kyoto Temple Tour we'll explore the Gion District of Kyoto and visit several key Shinto and Buddhist temples with an expert in Japanese history and religion. 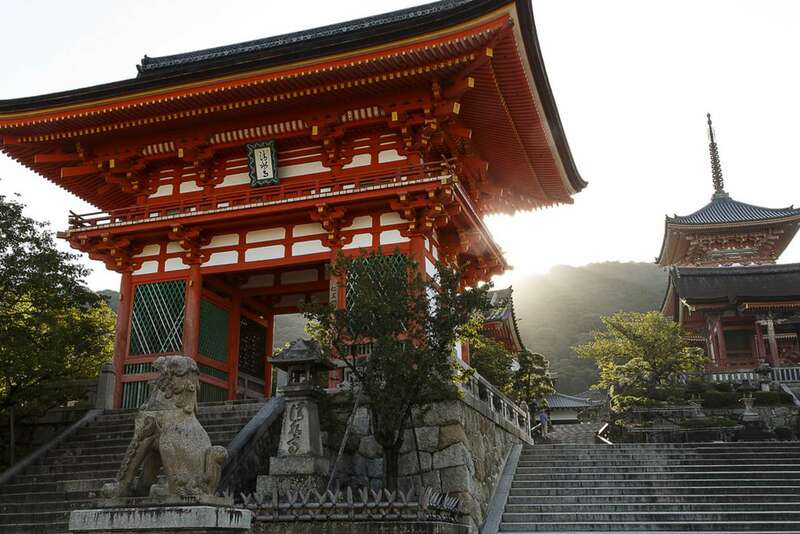 Along the way, we'll learn about the history, traditions, and rituals of both Shintoism, the native spiritual belief of Japan, and Buddhism, which was imported from China and Central Asia. "[Our docent] was smart, very educated and gave us a great history of the shrines, temples and the religions. He also broke things down to a modern level so we could appreciate what this religion, or combination of religions is today." We will begin our walk at Yasaka Shrine, which is located in the historic Gion district. Gion is an area renowned for its old wooden buildings, authentic Japanese restaurants, and teahouses characteristic of the Japan of the past. 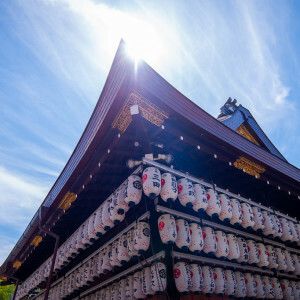 The Shinto shrine represents the perfect location to outline the basic principles of this spiritual belief. We’ll be introduced to the kami, spiritual deities, as well as principles of purity and impurity within Shintoism. 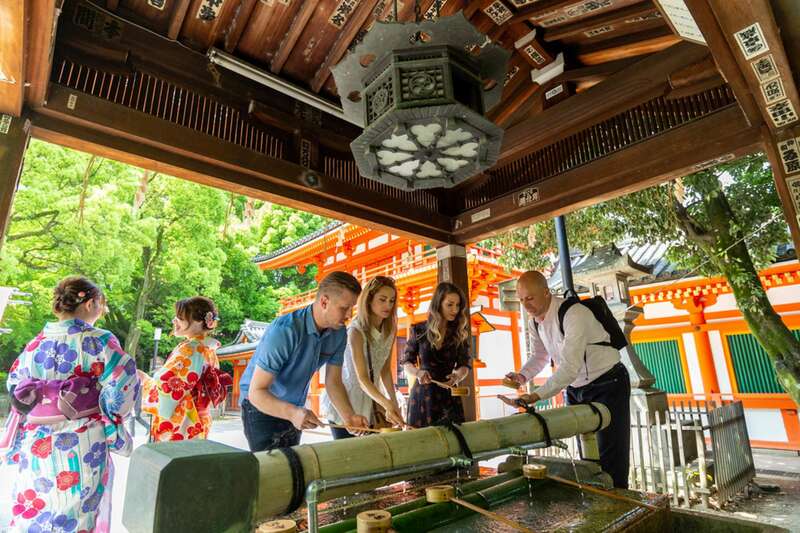 These tenets easily relate to the rituals we see performed daily, such as the temizu, a ritual hand washing to be conducted before entering a Shinto shrine. 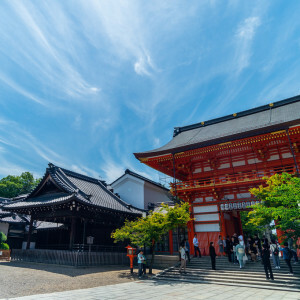 As Shintoism in its current form was woven together from numerous tribal spiritual beliefs, we will discuss the role of folklore in the religion and its use in propelling the nationalism expounded by the Meiji regime in the 19th century. 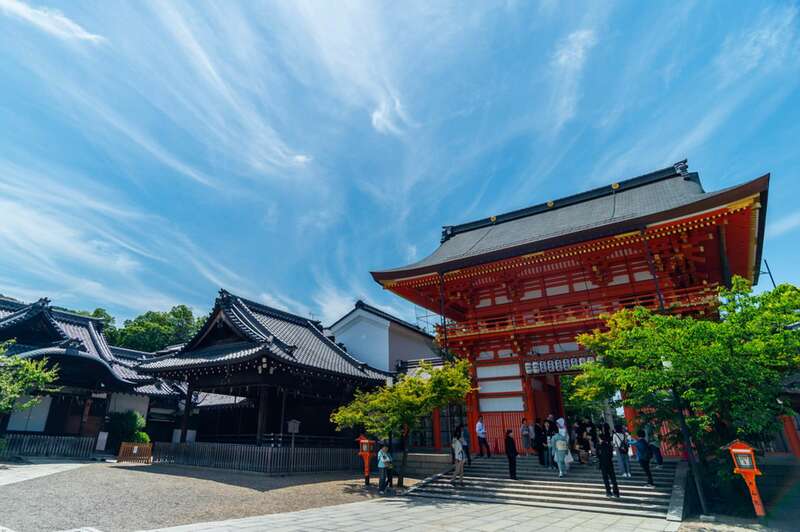 We’ll continue our tour through the historic streets of Gion until we reach one of the top Kyoto attractions, the Kiyomizu-dera temple. With its main hall perched atop the hills of Kyoto, the temple was established in 788 and provides spectacular views across the city. Our introduction to Buddhism begins with a discussion of its import into Japan and a basic understanding of how temple complexes are structured. 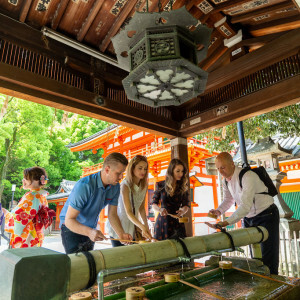 During our time at Kiyomizu-dera, the proliferation of charms and amulets used to help change one’s fortunes or provide protection will become evident, and we’ll discuss how the rituals in using these charms have become part of daily life in Japan—a subject we explore with a different lens on our Kyoto Gardens Tour. We'll wrap up our walk at the oldest Zen temple in Kyoto, Kennin-ji. It was founded in 1202 by monk Eisai, the character who is thought to have introduced the Zen sect (and tea drinking) to Japan. This wonderful temple lies on the edge of the historic neighborhood and will offer a contrast to the previous temples we will have just visited. Kennin-ji temple boast both impressive paintings and screen decorations inside and classical Zen gardens and sub-temples on its grounds. It is a fitting place to end our discussion of religions in Japan and finish this walk. 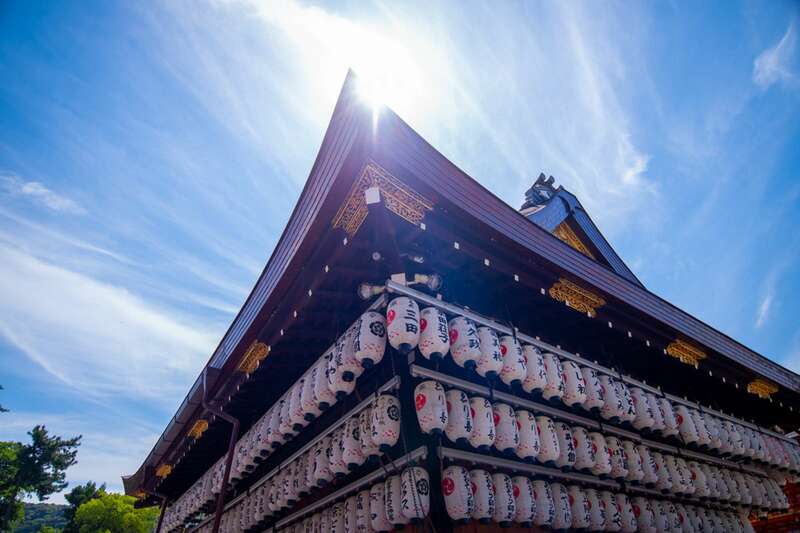 At the end of our Kyoto sightseeing tour, we'll have a stronger understanding of the roles that Shinto and Buddhism have and continue to play in Japanese culture. 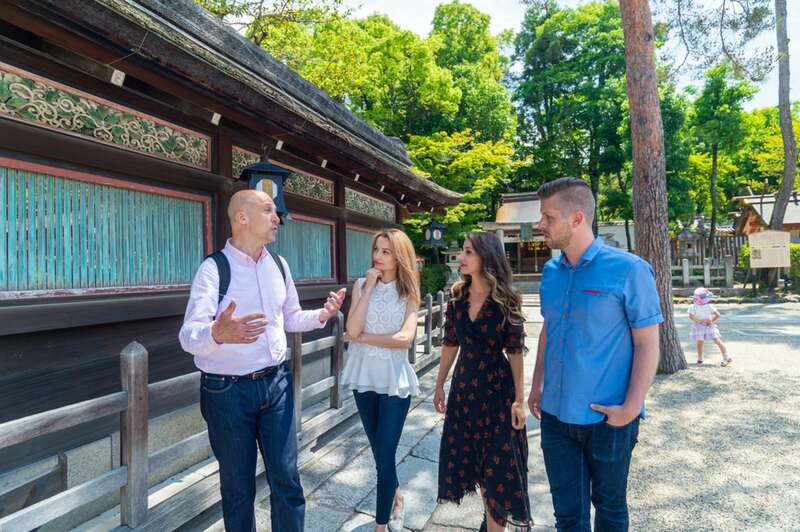 This knowledge will provide crucial context and a richer understanding during visits to futures shrines and temples during your time in Japan. Hungry? Try our Kyoto Food Tour of the Nishiki Market. 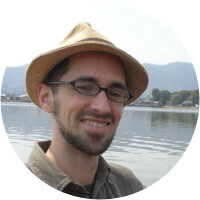 Gavin Campbell received a Ph.D. in history from the University of North Carolina, Chapel Hill, and came to Kyoto in 2001 to take his current position as tenured university professor of history, religious studies, and American Studies. 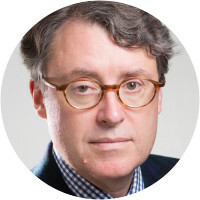 Since 2016 he is also Fellow at Harvard's Reischauer Institute of Japanese Studies. His teaching and research revolve around Japan's cultural encounters with the West, particularly during the Edo, Meiji, Taisho and early Showa periods (1600-1940), and he has published on the history of foreign tourism and of Protestant missionaries in Japan. To further explore Japan's global cultural encounters, he is currently writing a book on the history of Japanese menswear from the 1600s through the early 20th century. He enjoys reading, spending time with his family, and exploring with clients Kyoto's endlessly fascinating culture and history. 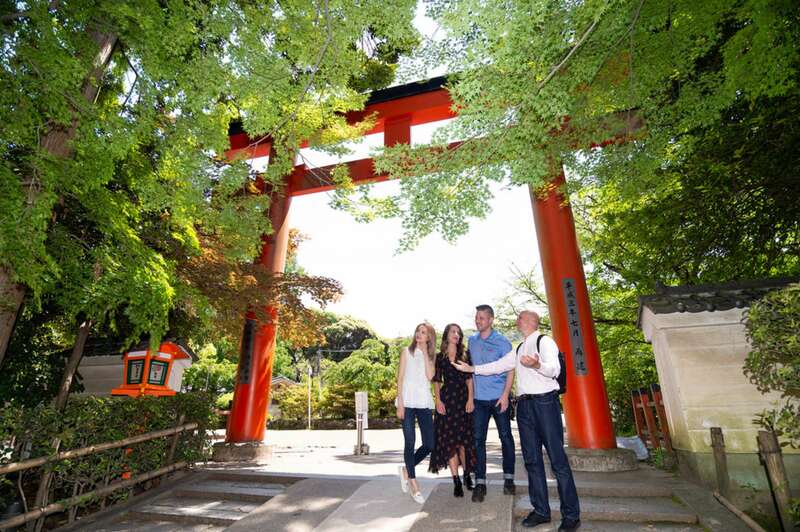 Australian Daniel Milne is a PhD candidate at Kyoto University studying the Sociology of Tourism. 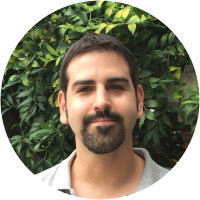 A continuation of his master's thesis, which he also completed in Kyoto, Daniel's PhD studies examine how touristic ideas of Japan have evolved from the 19th century to contemporary times, and what historical events, artistic, intellectual and consumeristic movements have played a role in shaping ideas of Japan. Beyond looking at tourism through a critical lens, he also teaches about the problems of intercultural communication at Doshisha Women's College, as well as being active in organizing Japanese cultural events for international students in Kyoto. A nine-year Kyoto resident, Daniel is hugely interested in food culture both in his native Melbourne and in Japan, and is studying the latter by going to food seminars and eating out as much as possible. He has studied Japanese tea ceremony for nine years and has been learning <i>aikido</i> for eight; both practices have taught him much about Japan's spiritual side. Alexander Bazes, originally from New York, has lived in Kyoto for 6 years. After finishing his BA in East Asian studies at Brown University he went on to take a master’s degree in East Asian Languages and Civilizations from the University of Pennsylvania, where he focused on pre-modern Japanese Buddhism. In early 2012, he began training in the craft of Japanese knife making, which he is pursuing full-time. Passionate about Japanese craftsmanship and culture, he enjoys sharing his knowledge and experiences with others. Excellent introduction to spirituality in Japanese culture. Marc was excellent at pulling together many strands of culture and answered many questions in great depth. Kana is an articulate, competent and committed guide. The tour contenet was interesting and intellectually stimulating. Marcin was an excellent guide and was incredibly generous with his time. He was very accommodating of my elderly parents, who had a much slower place. The young kids also enjoyed his explanations.